The explosive story of the rise of the processed food industry and its link to the emerging obesity epidemic. From a Pulitzer Prizewinning investigative reporter at The New York Times comes the explosive story of the rise of the processed food industry and its link to the emerging obesity epidemic. Michael Moss reveals how companies use salt, sugar, and fat to addict us and, more important, how we can fight back. In the spring of 1999 the heads of the world's largest processed food companiesfrom Coca-Cola to Nabiscogathered at Pillsbury headquarters in Minneapolis for a secret meeting. On the agenda: the emerging epidemic of obesity, and what to do about it. Increasingly, the salt-, sugar-, and fat-laden foods these companies produced were being linked to obesity, and a concerned Kraft executive took the stage to issue a warning: There would be a day of reckoning unless changes were made. This executive then launched into a damning PowerPoint presentation114 slides in allmaking the case that processed food companies could not afford to sit by, idle, as children grew sick and class-action lawyers lurked. To deny the problem, he said, is to court disaster. When he was done, the most powerful person in the roomthe CEO of General Millsstood up to speak, clearly annoyed. And by the time he sat down, the meeting was over. Since that day, with the industry in pursuit of its win-at-all-costs strategy, the situation has only grown more dire. Every year, the average American eats thirty-three pounds of cheese (triple what we ate in 1970) and seventy pounds of sugar (about twenty-two teaspoons a day). We ingest 8,500 milligrams of salt a day, double the recommended amount, and almost none of that comes from the shakers on our table. It comes from processed food. It's no wonder, then, that one in three adults, and one in five kids, is clinically obese. 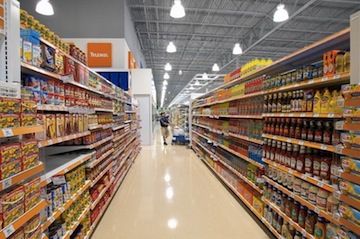 It's no wonder that twenty-six million Americans have diabetes, the processed food industry in the U.S. accounts for $1 trillion a year in sales, and the total economic cost of this health crisis is approaching $300 billion a year. In Salt Sugar Fat, Pulitzer Prizewinning investigative reporter Michael Moss shows how we got here. Featuring examples from some of the most recognizable (and profitable) companies and brands of the last half centuryincluding Kraft, Coca-Cola, Lunchables, Kellogg, Nestlé, Oreos, Cargill, Capri Sun, and many moreMoss's explosive, empowering narrative is grounded in meticulous, often eye-opening research. Moss takes us inside the labs where food scientists use cutting-edge technology to calculate the "bliss point" of sugary beverages or enhance the "mouthfeel" of fat by manipulating its chemical structure. He unearths marketing campaigns designedin a technique adapted from tobacco companiesto redirect concerns about the health risks of their products: Dial back on one ingredient, pump up the other two, and tout the new line as "fat-free" or "low-salt." He talks to concerned executives who confess that they could never produce truly healthy alternatives to their products even if serious regulation became a reality. Simply put: The industry itself would cease to exist without salt, sugar, and fat. Just as millions of "heavy users"as the companies refer to their most ardent customersare addicted to this seductive trio, so too are the companies that peddle them. You will never look at a nutrition label the same way again. "Exploiting the Biology of the Child"
The first thing to know about sugar is this: Our bodies are hard-wired for sweets. I don’t want to give away any of the “I didn’t know that” moments you’ll doubtless encounter while reading this book – mainly because I want you to read this book. There are times when Moss gets repetitive when he is trying to explain a new concept or idea. But this is a minor flaw in a book that should be essential reading for all. (Reviewed by Poornima Apte). A mouth-watering, gut-wrenching look at the food we hate to love. A Pulitzer Prize-winning investigative reporter at the New York Times, Moss delivers an indictment of the processed-food industry . . . Read after lunch. Starred Review. A shocking, galvanizing manifesto against the corporations manipulating nutrition to fatten their bottom line—one of the most important books of the year. What happens when one of the country's great investigative reporters infiltrates the most disastrous cartel of modern times: a processed food industry that's making a fortune by slowly poisoning an unwitting population? You get this terrific, powerfully written book, jammed with startling disclosures, jaw-dropping confessions and, importantly, the charting of a path to a better, healthier future. This book should be read by anyone who tears a shiny wrapper and opens wide. That's all of us. In this meticulously researched book, Michael Moss tells the chilling story of how the food giants have seduced everyone in this country. He understands a vital and terrifying truth: that we are not just eating fast food when we succumb to the siren song of sugar, fat, and salt. We are fundamentally changing our lives—and the world around us" - Alice Waters "Salt Sugar Fat is a breathtaking feat of reporting. Michael Moss was able to get executives of the world's largest food companies to admit that they have only one job—to maximize sales and profits—and to reveal how they deliberately entice customers by stuffing their products with salt, sugar, and fat. This is a truly important book, and anyone reading it will understand why food corporations cannot be trusted to value health over profits and why we all need to recognize and resist food marketing every time we grocery shop or vote. 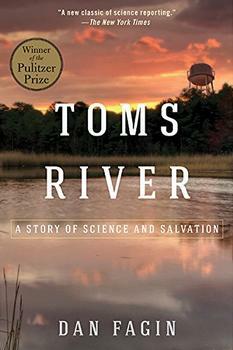 The riveting true story of sixty years in the life of a small town ravaged by industrial pollution, Toms River melds hard-hitting investigative reporting, a fascinating scientific detective story, and an unforgettable cast of characters into a sweeping narrative. Anything That Moves is a highly entertaining, revelatory look into the raucous, strange, fascinatingly complex world of contemporary American food culture, and the places where the extreme is bleeding into the mainstream.